The Undergraduate Council held its first meeting of the fall 2018 semester in the newly renovated Smith Campus Center. 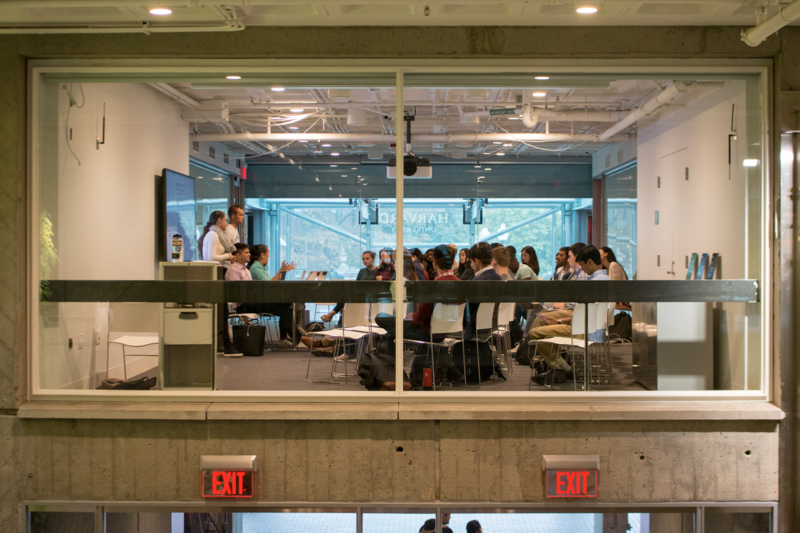 The Undergraduate Council voted to place two referenda challenging Harvard's investment decisions on the ballot for its presidential election this week. 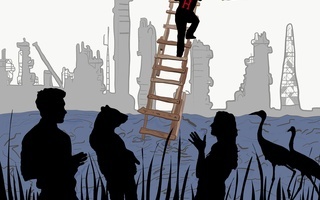 The first referendum asks voters whether the University should “completely divest its endowment from holdings in the fossil fuel industry.” Administrators have repeatedly called fossil fuel divestment — a goal long sought by some student activists — unrealistic and misguided. Students in recent weeks launched an organized effort to convince administrators to reconsider Harvard's investments in prisons. A newly formed group called the Harvard Prison Divestment Campaign held its first public event on Nov. 1, drawing roughly 100 attendees. 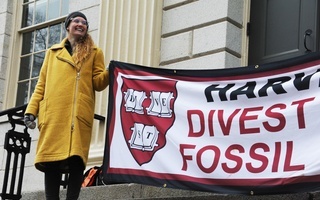 University spokesperson Melodie Jackson wrote in an emailed statement last week that Harvard will continue to play a “crucial” role in “tackling” climate change, but will not divest from fossil fuel companies. “And Harvard Management Company will continue to actively incorporate environmental, social, and governance factors – including climate change – into its investment work,” she added, referring to the group that shepherds the University’s endowment. 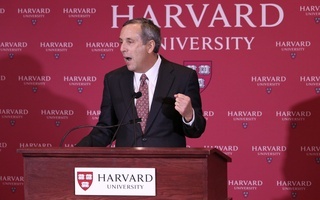 Asked in an October interview whether Harvard would consider divesting from prisons, University President Lawrence S. Bacow said shifting the endowment is not the appropriate mechanism to enact social change. There are two ways referenda make it onto UC ballots; either the Council can vote to add the questions — as happened with the divestment referenda — or the student body can vote to do so. Both referenda failed to garner the requisite number of undergraduate signatures — equal to 10 percent of the student body — before Tuesday evening’s deadline, the first time in multiple years that no referenda made it through the petition process. UC referenda are typically meant to gauge student opinion on campus issues ranging from Harvard's sexual assault policies to more light-hearted initiatives including a past push to make the “Harvard Turkey” the University’s official mascot. Students have weighed in on fossil fuel divestment before. In the 2012 UC election, 72 percent of voters — or roughly 2,600 students — voted in favor of urging the University to divest from fossil fuel companies. At the time, administrators said they had no plans to do so; though in 2017, HMC’s head of natural resources Colin Butterfield said Harvard was “pausing” investments in some fossil fuel companies for financial reasons. University administrators have pursued a number of environmental initiatives in recent years. Earlier this year, former University President Drew G. Faust laid out an ambitious plan to make the University fossil fuel-free by 2050. UC members said Sunday that, though they understand administrators’ long-standing objections to divestment in fossil fuels, they believe students should have a chance to weigh in on the issue. “Even if I don’t know if it’s going to pass and I’m not sure if I’d support the referendum as is, I still think that we should give students a chance to express their voice,” said Elm Yard Representative Michael Y. Cheng ’22. 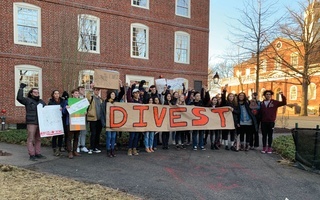 James H. Coleman ’21, co-president of the Harvard Environmental Justice group — which gathered roughly 400 signatures in an attempt to put the referenda on the ballot — said the recent presidential transition offered a perfect way for students to send a clear signal to administrators that they still support the divestment campaign. Salma Abdelrahman ’20, co-president of the Harvard Prison Divestment Campaign, said at Sunday’s meeting that the campaign has so far mostly involved graduate students. A UC referendum, she said, would give undergraduates the ability to weigh in on the issue, too. “We want undergraduate voices to be represented in the room and not just have this be a campaign that’s dominated by grad students,” she said. — Staff Writer Eli W. Burnes contributed reporting.